Background/Info: Kriistal Ann is an artist involved in music, poetry, and photography. 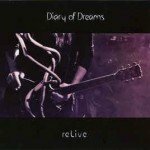 She has been the singer in bands like Resistance Of Independent Music and Paradox Obscur. She set up her solo project in 2013 and has already released considerable number of productions. All her work has been released on Werkstatt Recordings (mainly on digital, cassette and CDR format) while she joined Wave Records to unleash her 3rd full length, already released a few months ago now. Content: The sound is a delicious mix of minimal electronics, electronic new-wave and a touch of gothic music. It sounds delicate and accomplished with refined arrangements. The songs are driven by a slow, but danceable tempo. The Greek artist is definitely influenced by 80s music while her timbre of voice reminds me a bit of Elena Alice Fossi (Kirlian Camera). The songs are vintage-like and dark-minded. I think it’s not a coincidence she invited Schonwald to contribute on one song (cf. “Fall Of Misery”), which is one of the absolute highlights of the opus. Most of the songs have been sung in English, but she also likes to experiment with other languages like the French sung (or rather half-spoken) “Un Etrange Baiser”. + + + : “Cultural Bleeding” is the kind of work I like for its global original and minimal approach. Subtle bleeps, vintage sound formulas and dark melancholic atmospheres support this work with delicious artistic grace. I already mentioned a few noticeable cuts, but another tip is the somewhat more ritual-electro-like “Antigone”. – – – : This is probably the kind of electronics, which is not accessible for a wider audience. The only point that disappointed me a bit was that there are only 9 songs featured at this work. 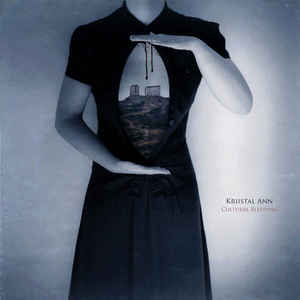 Conclusion: Kriistal Ann sounds like a pure relief on an electronic underground path filled with numerous bands sounding all the same. This album is touched by grace and creativity while based on retro-influences. Best songs: “Fall Of Misery”, “Antigone”, “Killing Jokes”, “Un Etrange Baiser”.